Oh cashews, is there anything you can’t do? If you have been vegan for a while, or if you are just into interesting and healthy recipes, you may have discovered the glory of the cashew. If it’s all new to you, then be prepared to fall in love with cashews on a whole other level. No, I’m not talking roasted nut mix in a tin, I’m talking vegan cheeses, creamy dressings, luxurious sauces, just so many delicious things can be done with this wonder nut. Today I wanted to give you an easy one. 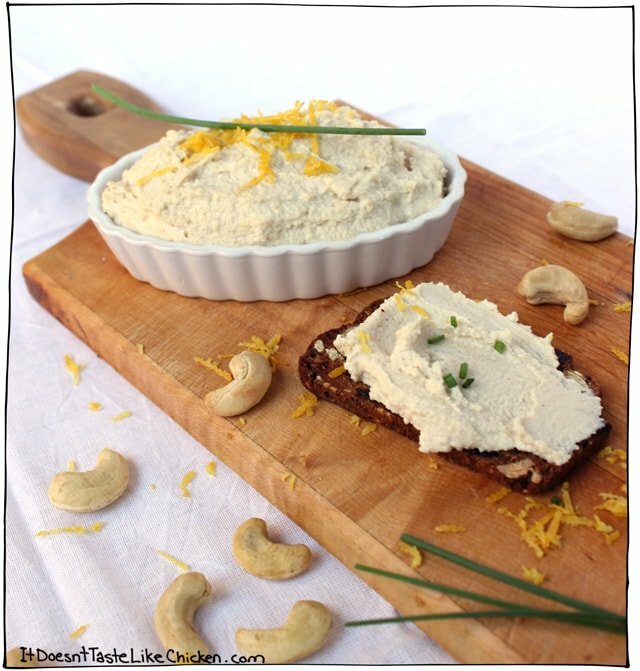 Cashew ricotta is creamy, spreadable, and can be seasoned in endless ways. Think zest, chives, black pepper, chili flakes, olive oil, truffle oil, herbs, it really is endless. 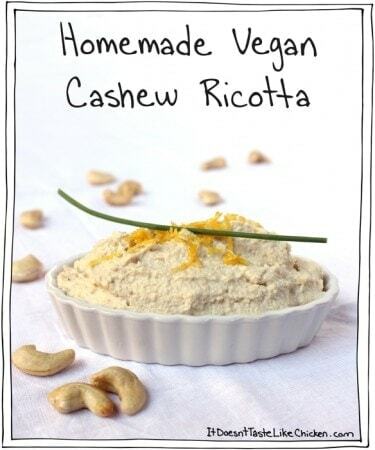 I love serving this just with some crackers, spreading it on a sandwich, or to replace dairy based ricotta in almost any recipe that might call for it. Plants you’ve done it again! Just make sure you allot yourself the 2 hours soaking time for the cashews before you want to prepare this bad boy. Or you could always toss them in water before you head to work or go to bed. They will be totally happy chillin’ for up to 12 hours I’m pretty sure. I just got back from the health food store. In general I try to avoid health food stores, because my wallet hates them. As I explained to always patient Andrew, “You see, fancy pre-made products are more expensive then say, a banana”. Very important conversations going on over here. The good news is I grabbed some ridiculously fancy treats which will keep me sane as I do a bit of a road trip to Montreal this weekend. Fast food joints ain’t got nothing on my fancy health food store treats! Seriously though, this drive is going to take 6 hours, and I have unfortunately done it a million TRILL-E-ON times before. Does anyone have some good audio book or podcast recommendations? 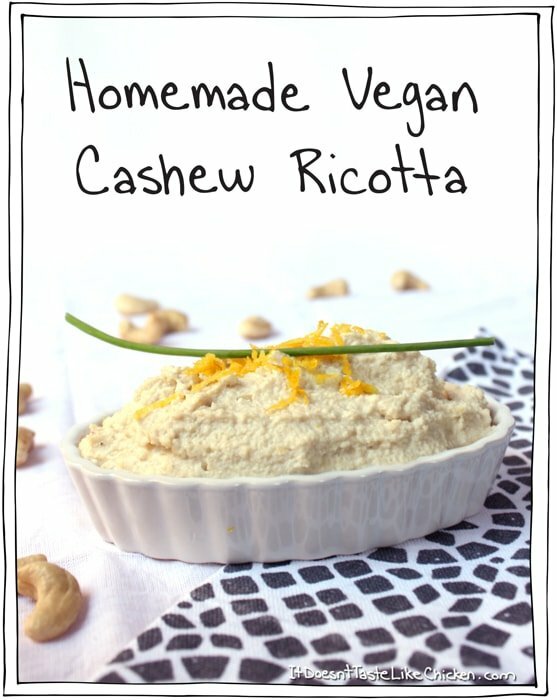 I am literally thinking of packing soaking cashews so I can make sure to have this cashew ricotta when I get to there. There is just something about the French cities that makes me want to whip out a vegan cheese board. Is it totally crazy to have cashews soaking in a tupperware on a road trip? Uh, no officer, those are just cashews… in water… TO-TAL-LY normal. Hmmm… I’ll let you know how this one goes. Cover cashews in plenty of water and let soak for at least 2 hours. Overnight is totally cool too. 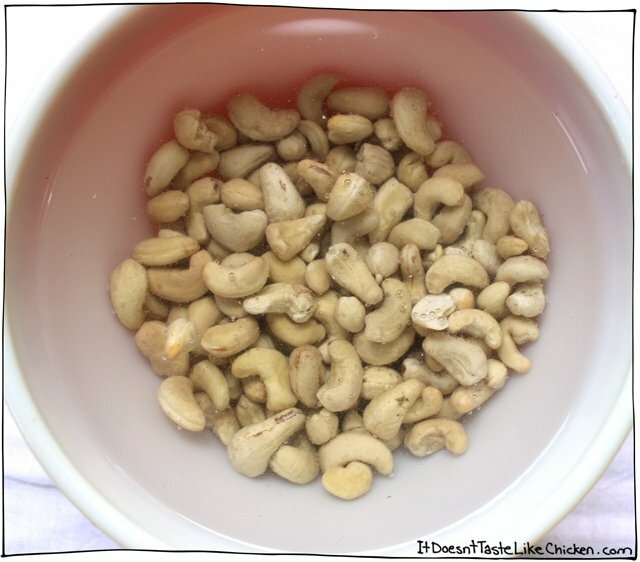 Drain your cashews and toss them in a food process with everything else. Blend it all up, stopping to scrape down the sides every now and then until you reach your preferred ricotta texture. Garnish as you like. You could use lemon zest, chives, black pepper, a drizzle of olive oil, chili flakes, or just leave it as is. Spread on a cracker, use as a spread on a sandwich or just lick a spoon. Yum! 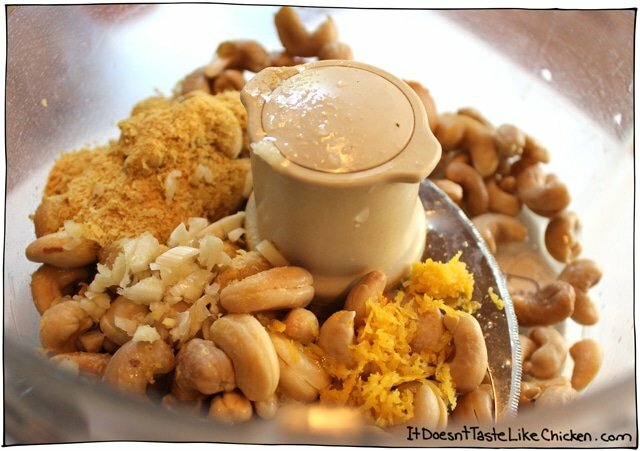 Just soak cashews, then blend with some seasonings! So easy and a much healthier alternative to dairy-based ricotta. Cover cashews in plenty of water and let soak for at least 2 hours. OR if you want to make this right away, boil the cashews for 10 minutes until tender. 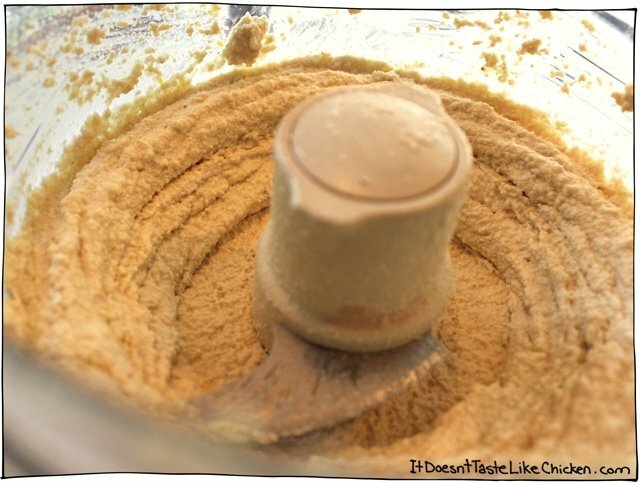 Drain your cashews and toss them in a food processor with everything else. Blend it all up, stopping to scrape down the sides every now and then until you reach your preferred ricotta texture. 310 Days, 92 Recipes to go! I read the comments first before making it. Based on Christine’s comment, I used less lemon and that worked well. If I used the amount in the recipe, I think it would have been too much lemon for my taste. My friends couldn’t believe it was vegan. Sorry if this has already been answered somewhere else, but does this freeze well? This will freeze just fine. Enjoy! Does this recipe really need the miso? I have to be grain free. The miso adds a nice umami flavour. You could skip it if you like, but you might want to amp up some of the other flavours. Enjoy! I didn’t think of that, it would look really gross! I can’t imagine brown ricotta…yikes! Can I use this ricotta in a veggie lasagna? Does it melt or should I use it on top after veggies cooked? Absolutely, it works great in lasagna. Enjoy! My local store only sells red miso paste, besides color will it taste the same?? Red miso paste is much stronger in flavour, so I would start with only a little, and add more to taste as needed. Enjoy! 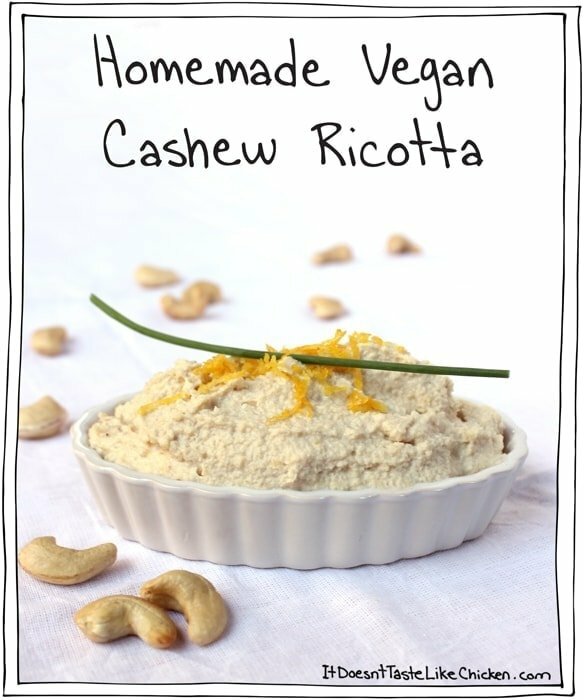 I have been looking a good vegan ricotta cheese recipe to use for a dessert. I’m concerned the miso and nutritional yeast might make it too savory. My family makes buckwheat pancakes and spreads sweetened ricotta and whatever fruit is in season. 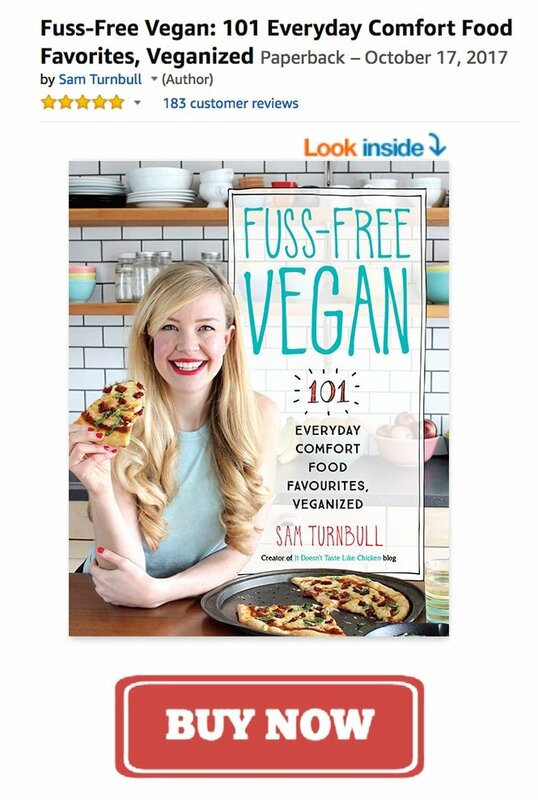 As I am newly vegan, I’d like to swap this for the dairy version. What do you think? P.S. I love your site! I don’t think it will be too savoury, as dairy based ricotta has the umami and cheesy flavours that those ingredients provide. That said, you can always make it without the miso and nutritional yeast to start, then slowly add them in until you reach your desired taste. Enjoy! Just made this today in the hopes of putting it on pizza later tonight. I found it to be FAR too lemony for my use. I followed the recipe as directed. Next time, I’d start with 1.5 TBSP and taste and add as needed. To fix it, I’m adding some raw cashews and almond milk to try to dilute it… the texture is great and I’m glad I got to use some more of my miso paste! Does anyone know how long this will last in the refrigerator? (Assuming no one starts munching it.) I’m catering a large party and am doing a lot of vegan options. I’d love to make this about a week in advance. So obviously it freezes well. Good. I’m going to have quite a spread. I’ll take some pics and share them with you. Hi Sam! I’m making this for your kale cashew ricotta pasta bake tonight. I ran out of raw cashews so I have just under one cup raw and just over half a cup roasted salted cashews soaking right now. Do you think it will work or will the flavor be off because of the roasted ones? I’m blowing through raw cashews…never thought that would happen. Haha! Hahaha! I know the feeling, going vegan = requiring never ending supply of cashews! Yes I think the roasted cashews will be fine. You might need to cut back in the salt, and they might be a bit more of a pain to blend, so make sure to really soften them first. Enjoy! I’m not sure I can get hold of white miso – can I use a smaller amount of “standard” miso or sub it out with something else? Thanks! My miso doesn’t tell me what type it is D: it’s dark brown so I think it’s most similar to red miso. As long as the general taste, etc, is the same I’m sure it’ll be great :). Thank you! Could you use another kind of nut? Legume? It’s a new quick go to. More interesting than hummus and a great thing for a party! Thanks!! Looking forward to giving this a try. My daughter can’t eat dairy so fingers crossed that she loves this! YUM. I am envisioning cashew-ricotta ravioli.. dear God! Um, yum!!!! Why am I not eating that right this second?? Cashews are the bomb. My favorite way to utilize them is in vegan mac and cheeze. Soooo goooood!!! Haha! They really are. Dates are pretty impressive too! And I love Mac and cheese cashew sauce! please give me a good cashew mac and cheese recipe. have not ever found one I like.